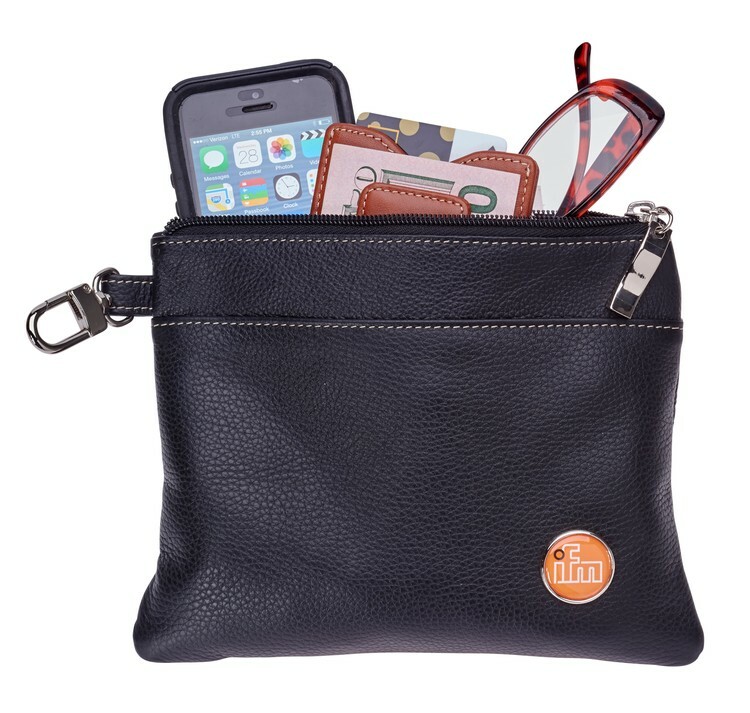 Zippered, soft, yet durable top grain leather bag with non-abrasive nylon lining and separate inside pocket for currency or jewelry. Black with contrast stitching. Customized with color dome or frosted etch logo. Frosted etch - add $ .50 per piece running charge. • Samples are billed at 500 quantity net price. • Special Packaging: Insertion of customer supplied insert cards availabe. For drop shipping and fulfillment services please inquire.